Bismarck had warned at the close of the Congress of Berlin in 1878 that the next war in Europe would probably result from “some damn foolish thing in the Balkans.” If the EU, the U.S. and Russia do not begin handling their interactions in the Balkans more seriously, we may yet again remember Bismarck’s prescient warning, with even more horrible regret. Inevitably, the anti—Russia hysteria consuming Washington and other western capitals has had repercussions in southeastern Europe. What Ben Rhodes appropriately named “the Washington blob” has produced a flood of think-tank analyses and news articles purporting to show that Putin/Russia are on the march in the Balkans, destroying democracy, breaking up the European Union, and threatening NATO itself. Unfortunately, much of this reporting and analysis would be a better fit for the National Enquirer than a National Intelligence Estimate. 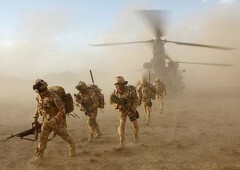 One London newspaper, for instance, cited a Rand Corporation report claiming that Putin could “DEFEAT NATO and smash through the Balkans in just THREE DAYS.” The report the tabloid referred to, however, was about the Baltics. Similarly, a study by the British House of Lords alleges a Russian coup attempt in Macedonia, which no legitimate Balkan expert appears to have ever heard of. On this side of the Atlantic things are just as bad. Former Defense and State Department officials warn that Russia could invade Montenegro and destroy NATO, or launch a conflict in Bosnia to destabilize Europe. In normal circumstances speculating about such operationally-unimaginable eventualities would be confined to the lunatic fringe, but such hyperventilating has now become commonplace for the Washington foreign policy establishment. Thus, it has been suggested that Russia is funding Islamist terror groups in the Balkans and that Russia is promoting conspiracy theories about the existence of such groups in the region. Moscow is accused of both planning to use Montenegro as its Trojan Horse in NATO and of organizing a coup-attempt to prevent Montenegro from joining NATO. Some have claimed that Moscow was intent on preventing Montenegro from joining NATO because it wanted naval bases in the country, although Montenegrin officials have said that the topic has never come up. 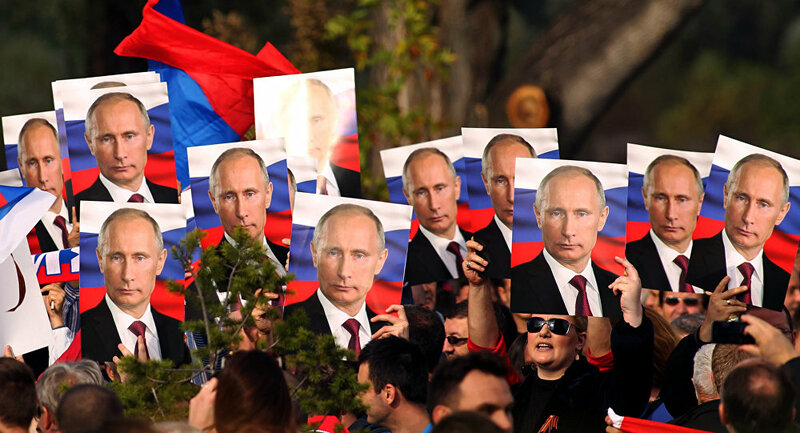 Putin stands accused of trying to turn the Orthodox monastic republic of Mount Athos into a Russian spypost, and of promoting Croatian nationalists, Macedonian nationalists, and, of course, Serbian nationalists. 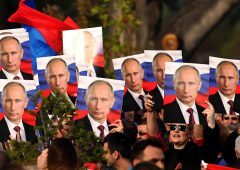 Perhaps most remarkably, Putin is accused of both trying to create a Greater Albania and of targeting the Albanian populations in the Balkans with nuclear weapons. Of course, what has happened instead is that “Northern Macedonia” is joining NATO, Serbia hosted its largest-ever training exercise with the alliance in October 2018, relations between Athens and Moscow have reached an historic low, and NATO (albeit unilaterally) has moved to activate Bosnia & Herzegovina’s Membership Action Plan. Another aspect of the problem, as the afore-mentioned Ben Rhodes noted, is that far-too-many foreign affairs editors and reporters in New York and Washington “literally know nothing”; consequently, they accept wholesale the various stories invented and peddled by corrupt Balkan authoritarians, or foreign spin doctors promoting the agenda of their favored group. All of this poses very important questions for more serious people genuinely concerned about U.S. and European security—are all of the journals, newspapers, policy think-tanks, and academic institutes that make up various foreign policy establishments really serving their public’s interests by irresponsibly promoting such disinformation campaigns, or by publishing articles so devoid of reality? Are western publics really well-served when these institutions uncritically accept what is all-too-often patently false, foreign propaganda? And perhaps most importantly, are the safety and security of Europe and the U.S. really furthered by distributing false or intentionally misleading information about the actions and positions of a nuclear superpower? A few examples from across southeastern Europe amply illustrate the above problems. Foreign Affairs, for instance, has claimed that Croatia is “the next Russian domino to fall”, and it has even been claimed that Zagreb is offering itself to Moscow as a replacement for Serbia as the main Russian ally in the Balkans. But while there might be some propaganda value in making such claims, there is no evidence to support them. Croatia is both an EU and NATO member; it refused to sign up for the Moscow-sponsored South Stream pipeline project; it has joined several EU states in opposing NordStream II, it joined the EU sanctions regime against Moscow resulting from the annexation of Crimea; it joined the Western response to the Skripal affair by expelling a Russian diplomat; it joined Western countries in condemning Russia for the alleged use of chemical weapons in Syria in April 2018 and is helping the Pentagon provide weapons to U.S.-backed, anti-Assad opposition groups in Syria. Although Russian banks own significant stakes in Agrokor, one of Croatia’s largest enterprises, according to the Financial Times they do not seem to have been determined to use their leverage for political purposes; according to one person involved in Agrokor’s restructuring, “this is purely business.” Indeed, in January 2019 Sberbank announced its intention to sell its shares in Agrokor altogether. Croatia also has close ties to Kyiv, and the entire ideological and emotional foundation of Croatia’s ruling party is based on being the Western European, Roman Catholic antithesis to Eastern Orthodox Slavs (Serb or Russian). Finally, one might add that Croatia’s current president went to high school in New Mexico, attended George Washington University, was Zagreb’s ambassador to the United States, and served as assistant secretary-general of NATO. This is hardly the CV of someone who is going to sell her country to Putin.Similarly, some have suggested that the agenda of the Bosnian Croat party, the Croat Democratic Union-BiH, is being dictated by Moscow, although this must be a neat trick to play since a recent public-opinion poll carried out the International Republican Institute showed that 75% of the Bosnian Croat electorate “strongly supports” or “somewhat supports” NATO membership. In Bosnia, Foreign Policy has claimed that “Putin is Building a Bosnian Para-Military Force” in the RS, yet according to RS officials their police units “have never conducted any type of training with the Russian police authorities . . . The members of the RS Ministry of Interior carry out trainings with US Seals and Green Berets on a daily basis.” Since U.S. officials have never denied this, we can assume the statement is accurate. Further “evidence” for this story came from the fact that approximately fifteen individuals from a practically unknown group called Srbska Čast (“Serbian Honor”) paraded in Banja Luka, but the group in question was so obscure and insignificant that it was not even mentioned in an exhaustive, 203-page study of pro-Russian organizations in Serbia. Along similar lines, the RS Interior Ministry was attacked for signing a two-page Memorandum of Understanding with Moscow’s Interior Ministry in 2015, but the deal was fully in line with an even more extensive six-page Agreement on Cooperation between Bosnia’s central government and the Russian Federation’s Interior Ministry. Indeed, such agreements are fairly-commonplace as far as diplomatic practice goes; for instance, in April 2018 Bosnian state security minister Dragan Mektić went to Sochi where he met with Nikolai Patrushev, the head of the Russian Federation’s Security Council, to discuss strengthening cooperation between Sarajevo and Moscow in the fight against terrorism, promoting cyber-security, and dealing with illegal migration and human trafficking. Mektić also signed a Memorandum of Cooperation with his counterpart in Russia’s Interior Ministry concerning labor force migration. This is frequently on evidence, despite what the headlines say. In September 2018, for instance, Russian foreign minister Sergei Lavrov publicly stated that “Russia’s support for the Dayton Accords [which ended the 1992-95 war] has no alternative. We support the sovereignty, territorial integrity and constitutional competences of its two entities and the constitutionality of all three peoples in Bosnia” (emphasis added). Here Lavrov seemed to be channeling the views of the late Richard Holbrooke, who once noted, “Bosnia is a federal state. It has to be structured as a federal state. You cannot have a unitary government, because then the country would go back into fighting. And that’s the reason that the Dayton agreement has been probably the most successful peace agreement in the world in the last generation, because it recognized the reality” (emphasis added). More recently, in the aftermath of the country’s October 2018 elections, both the State Department’s point man on the Balkans, Matthew Palmer, and the Russian ambassador to Bosnia, Peter Ivancov urged the same sequence of events-first, the formation of a new government, and afterwards reform of the country’s electoral law. (This, despite the fact that the preferred sequence of Moscow’s alleged clients, the Bosnian Croats, was to first adopt electoral law reform and then proceed with government formation). An even more sensationalistic account of what Russia is allegedly doing in the Balkans can be seen in the story of the alleged “coup attempt” in Montenegro in 2016. To fully understand the Montenegro story, however, some background and context about the country and its current regime is needed. In what is a unique case in Europe, the same political party has been in uninterrupted power in Montenegro since 1945, and the country’s current strongman, Milo Djukanović, has held power as long as Stalin ruled the Soviet Union. Considerable amounts of coercion and corruption, of course, are needed to maintain such longevity; indeed, in 2015 the Organized Crime and Corruption Reporting Network named Djukanović “Man of the Year in Organized Crime,” beating out other such notables in this category as Vladimir Putin and Ilham Aliyev. Examples of the corrupt and coercive nature of the Djukanović regime are not difficult to find. In just the past year, a car bomb exploded outside the home of investigative journalist Saed Sadiković, another journalist, Olivera Lakić was shot and wounded outside her apartment in Podgorica, and in January 2019 an investigative reporter named Jovo Martinović was arrested on what are widely seen as trumped-up drug-trafficking charges. Meanwhile, the 2004 murder of anti-Djukanović journalist Duško Jovanović has never been resolved. Another bit of context is important to put what allegedly happened in Montenegro in 2016 in more sober and realistic perspective—“election surprises” such as the so-called October 2016 Russian-backed coup attempt happen frequently in the country. For instance, during the country’s presidential elections in 1997, Montenegrin security forces arrested 11 people “infiltrated from Belgrade and Novi Sad” who were accused of preparing a terrorist attack. Djukanović of course won the elections, but it would take five years for the Montenegrin Supreme Court to clear those arrested of any criminal responsibility. Similarly, on the eve of parliamentary elections in September 2006, Montenegrin security services again uncovered a budding “terrorist operation” code-named Eagle’s Flight. This plot was allegedly planned by a group of seventeen ethnic Albanians, and pro-forma court proceedings resulted in the group being sentenced to a total of 51 years in prison; Several of those accused, however, went on to sue Montenegro before the European Court of Human Rights, alleging that while in custody they had been tortured and starved to extort their confessions. The ECHR ruled in the plaintiff’s favor. Whatever one may say about Djukanović and his system of rule, however, what is undeniable is that he is clearly someone who knows how to stay in power and deal with his rivals. Vladimir Putin, of course, who has been in power for two decades himself, must understand this as well as anyone. But if the Blob’s officially accepted narrative of what happened in Montenegro in October 2016 is to be believed, the Vladimir Putin who allegedly approved of this putsch must be a fool. To overthrow someone who had been in power for three decades, Putin tasked a man named Saša Sindjelić, a high-school drop-out who had not been to Montenegro in fifteen years, and was given all of three weeks to organize a coup against a regime that had been in power for seventy years. His most notable achievement in life appears to have been the theft of a tractor (and the murder of its owner), for which he is wanted in Croatia. This motley group of alleged coup plotters that Vladimir Putin hired, it should be noted, was supposed to overthrow a government defended by 5000 trained police officers and 2000 military personnel. Perhaps most indicative of the absurd nature of this alleged coup attempt is the story of the missing weapons. One of Sindjelić’s co-conspirators was a man named Mirko Velimirović, who supposedly had second thoughts and betrayed the entire affair to Montenegrin officials. Yet Velimirović’s account of events was more full of holes than Swiss cheese. Velimirović claimed to have bought weapons for the plot (which have never been found) from an Albanian black marketeer (who has never been identified) and then dumped them in a lake (the location of which has never been disclosed). In courtroom testimony Velimirović could not even identify what kind of weapons he claimed to have bought. At one point he renounced his testimony altogether. Nevertheless, people pushing the Djukanović-regime’s version of events insist that ‘evidence” of a coup plot exists; one report, for instance, claims that Montenegrin police found “knives, sling-shots, and various blunted instruments across the country” after Sindjelić and Velimirović were uncovered. All told, either the GRU has gone medieval, or the real story about what happened in Montenegro in October 2016 has yet to be revealed. [Russia is] a more or less normal great power pursuing its own interests, sometimes in concord with the West and other times not, but usually in alignment with at least some Western countries. Moreover, the Russian establishment’s views both of international order and of what constitutes national interest do not differ fundamentally from those of the harder-headed members of the West’s own security establishments. Unfortunately, however, by misunderstanding and miscalculating what Russia is either capable of or willing to do in the Balkans, EU and U.S. policymakers are making mistakes that have significant tactical, strategic and existential consequences. 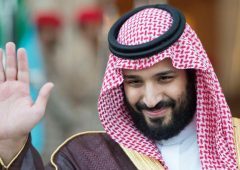 A new generation of autocrats has been taking over the region, sometimes with the direct complicity of overzealous American policymakers and distracted EU officials . . . Both U.S. and EU policymakers have been willing to turn a blind eye to corruption, which plagues the region’s governments, and have either downplayed or ignored the creeping rise of autocratic rulers . . . [who] are well-coached in telling Western diplomats what they want to hear, while blatantly undermining democratic principles and the rule of law at home . . . U.S. and EU policymakers need to ask themselves if oligarchs, autocrats and kleptocrats, who happen to be pro-Western, are any better than Putin—or helpful for the West’s long-term interests in the region. If we do not get wise to this game and continue to view southeastern Europe as yet another front in the New Cold War, and our overarching goal remains “keeping Putin out of the Balkans,” we may well be sacrificing Balkan democracy and regional stability for another generation. Leaders and groups that believe they enjoy Washington’s favor—or believe they know how to manipulate American policymakers—will increasingly press their advantages against both domestic and foreign opponents, resulting in less democracy internally and more aggressive policies externally. Meanwhile, leaders and groups that do not enjoy Washington’s favor will increasingly feel the need to turn to Russia (or in the not-too-distant future China) for some modicum of support. The result will be a self-fulfilling logic in which the Balkan states are impelled into more and more hostile, divided camps. Taken to the most dangerous extreme, this could result in the kinds of proxy wars we are witnessing in Syria and Ukraine. Second, creating a Balkan front in the New Cold War will be yet another irritant reinforcing Moscow’s inclination to compensate for increasingly hostile relations with the West by forging closer ties with China—hardly a development that advances the West’s security or strategic priorities. Denied opportunities in the West, what alternative do Russians have but to turn East? . . . . The confluence of China’s strategic foresight and exquisite diplomacy, on the one hand, and U.S. and Western European clumsiness, on the other, has produced an increasingly thick and consequential alignment between two geopolitical rivals, Russia and China. As we mark the centenary of World War I’s end, it is all the more important that we start thinking deeply about the dangers inherent in misunderstanding and misinterpreting what is happening in the Balkans today. In 1914 Europe “sleepwalked” into a cataclysm as a result of messy alliance systems and inflexible mobilization schedules that left diplomats and policymakers unable to understand the consequences of their decisions. If anything, today’s alliance system is even more fraught with danger. In 1914, diplomats and generals had to deal with mobilization schedules that were measured in weeks and months. Their successors today have to confront nuclear launch sequences and retaliatory responses that are measured in minutes. Bismarck had warned at the close of the Congress of Berlin in 1878 that the next war in Europe would probably result from “some damn foolish thing in the Balkans.” If the EU, the U.S. and Russia do not begin handling their interactions in the Balkans more seriously, we may yet again remember Bismarck’s prescient warning, with even more horrible regret. Gordon N. Bardos is president of SEERECON, a strategic consulting and political risk firm specializing in southeastern Europe.